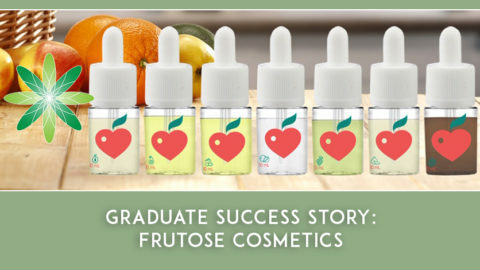 Our favourite posts on the blog are the features where we share our graduates’ stories. 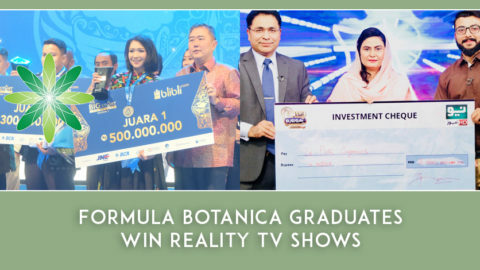 You can read more about the businesses run by our graduates on the Formula Botanica graduates page too. Today we’re featuring a graduate who has gone a slightly different route with her business and is having great success with it. Meet Alita Terry, Licenced Esthetician and Founder of Ethereal Aromatherapy & Skin Care, based in Harlem, NY, USA. Hi Alita, can you tell us a bit about you and your background? I am originally from Hamden, CT. My curiosity into the beauty world began at the young age of 11 years old. I am the youngest of 4 girls. So, with three older sisters I was introduced to cosmetics pretty early on. My oldest sister, Carlitta, had a large cosmetics caboodle case filled with sweet smelling lotions and make-up. When she wasn’t around I would mischievously play in her box of cosmetics and smother myself in her floral lotions and perfumes. I loved the way it made me feel; beautiful. Fast forward 10 years. I took on my first job in a day spa located in Boca Raton, FL. I was hired as a receptionist and this is where I learned about the specifics of esthetic treatments and cosmetics. It took another 7 years until I actually obtained my esthetic license in Santa Monica, CA. How did you start Ethereal Aromatherapy & Skin Care? In the beginning the idea was to create aromatherapy creams. The aromatherapy creams would focus on relieving stress and anxiety, something that I suffered from for quite a long time. However, as I learned more and more about plants and their therapeutic properties it just made sense to incorporate it in my esthetic treatments. Soon, I left the traditional medical spa and began partnering with a group of doctors within their gynecological office. At first, I was only using specific essential oils during the face massage stage of my treatments. The essential oils led me to experimenting with plant water, aka hydrosols. 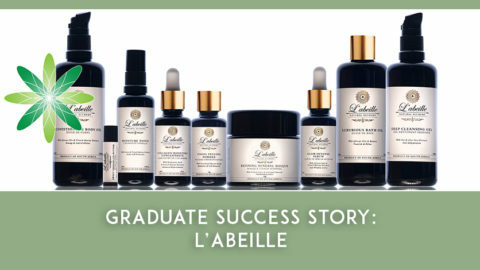 I realized at this point I needed formal training in putting together different natural and organic treatments. This is when I stumbled upon Formula Botanica. I enrolled in the therapeutic face masque course. The class was a great investment for me because it gave me a specific template to work with. The resources that were given to me through the online school answered so many questions that plagued me. From where to purchase insurance to the lists of ingredient websites to shop from worldwide. I almost didn’t want to tell anyone about this goldmine of resources I found at Formula Botanica (lol). I had an advantage above and beyond my fellow estheticians. 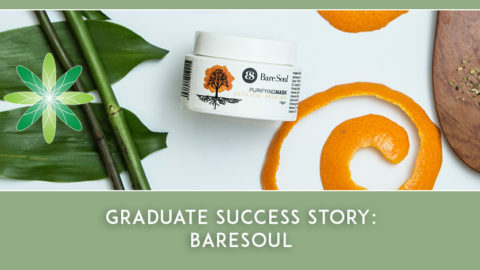 My hands on experience with understanding the different skin types and conditions coupled with organic formulations made me feel very competent in my career. The classes at Formula Botanica were instrumental in kicking my treatments up a notch. Once, I became satisfied with the face masks I was creating, I offered samples to my clients to take home. The feedback was and is great. 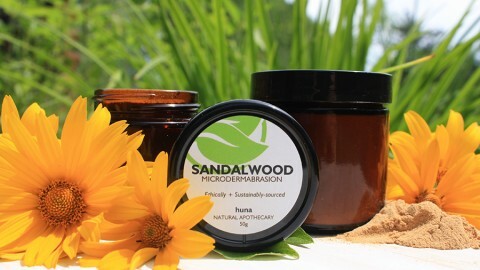 Now, I am working on packaging these dry organic face masks and putting them on the market. Where did the inspiration from for the name ‘Ethereal’? The name Ethereal was given to me by a close friend. He made a comment under an old modeling photo I posted on Facebook. He described my photo as ethereal. I didn’t know what it meant, so I had to look it up. I thought it was a perfect name for a skin care line. What are your favourite ingredients to work with when you’re blending masques? Pre mask application, I use an aloe gel with vitamin b to soften the skin, making the skin cells more permeable. I feel like the softer the skin before the mask, the better. I also like Moroccan clay. My clients love this clay as well. It doesn’t dry the skin out, but it makes their skin feel very clean afterwards. It’s an anti aging clay , that I often use as a base in the majority of my therapeutic face masks. What is the best part of working solo? The sky is the limit. The artistry of formulating keeps me engaged. Formulating is an instinct as well as an art. I am so grateful. What advice would you give to new organic formulators? I love this quote from the movie Nemo. It applies so well to life. The body is a wonderful instrument, we are always discovering new things about our body’s systems which are made up of cells. Keep up with the new scientific studies. Continue to take classes in the anatomy and physiology of the skin. I plan on taking more classes with Formula Botanica! I am just getting started. 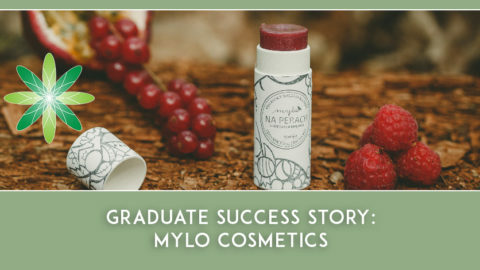 And if you want to be like Alita and introduce organic facial masques to your range of treatments, download our School Prospectus today to see what courses we offer or speak to our Admissions team directly.